The common denominator of all her proposals is the amount of faith placed in the State to conduct private affairs. 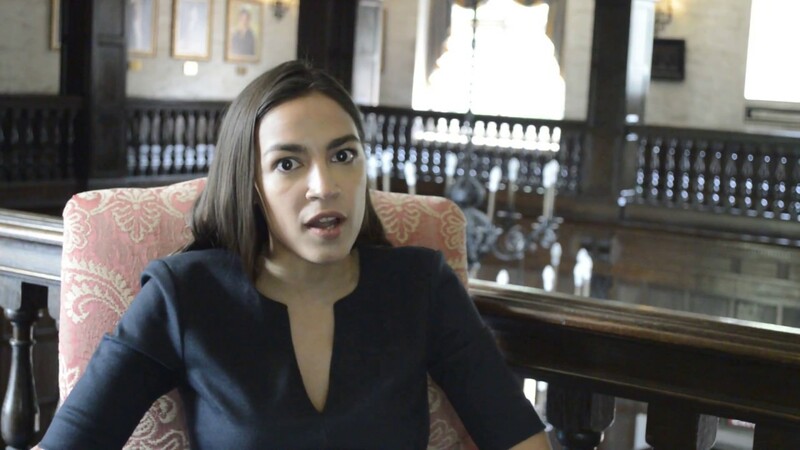 Channeling the spirit of failed presidential candidate Bernie Sanders , Ocasio describes her program asdemocratic socialism . No matter how many times socialist experiments have failed—from the Soviet Union to present-day Venezuela—many naïve leftists continue their never-ending goose chase for a socialist experiment that works. This:--> "The 20th century has witnessed the Founding Father’s original vision wither away in favor of a managerial state that gets constant democratic seals of approval at all levels of government to justify overreach. ... In fact, Ocasio’s rise to prominence is no hack of the system. It is the logical end result of multiple generations acclimating to expansive government expansion. ... Multiple decades of media and institutional desensitization has culminated in a scenario where socialism is discussed nonchalantly in public forums." Government schooling is at the core of this gradual, century-long process of acclimating our young to the ideas of central-planning, the supremacy of government authority, socialism, and of "living/breathing constitutions"... The number one policy change on the agenda for philo-libertarians and conservatives, I should think, is the separation of education and State, in order to end the cycle of brain-washing and training our young to be obedient martinets and supporters of State power and planning. Agreed: as long as the parasites control the children's education, the children will grow up to be parasites. What is required is the complete separation of government and education. Socialism is merely robbing Peter to buy votes from Paul. It therefore destroys the incentive to produce in both Peter and Paul. Yes, how could we forget all the free market reforms of the 1960s?